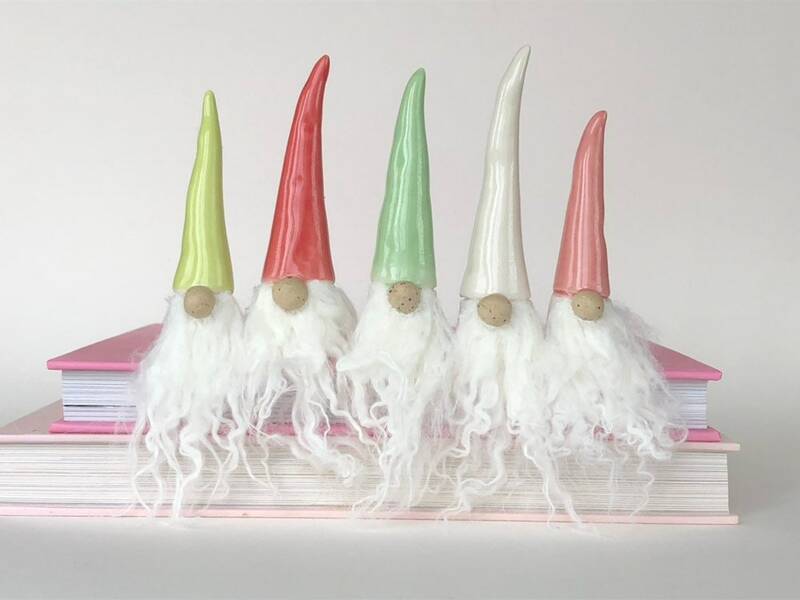 Ceramic Christmas Gnomes are handmade, unique and cute Christmas decor items. 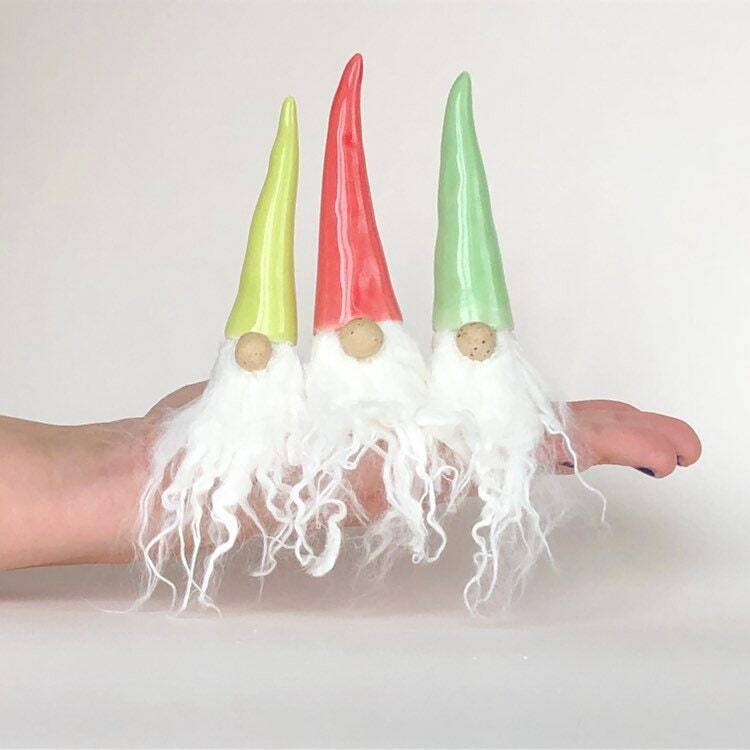 They make perfect, magical Christmas gifts for anyone. 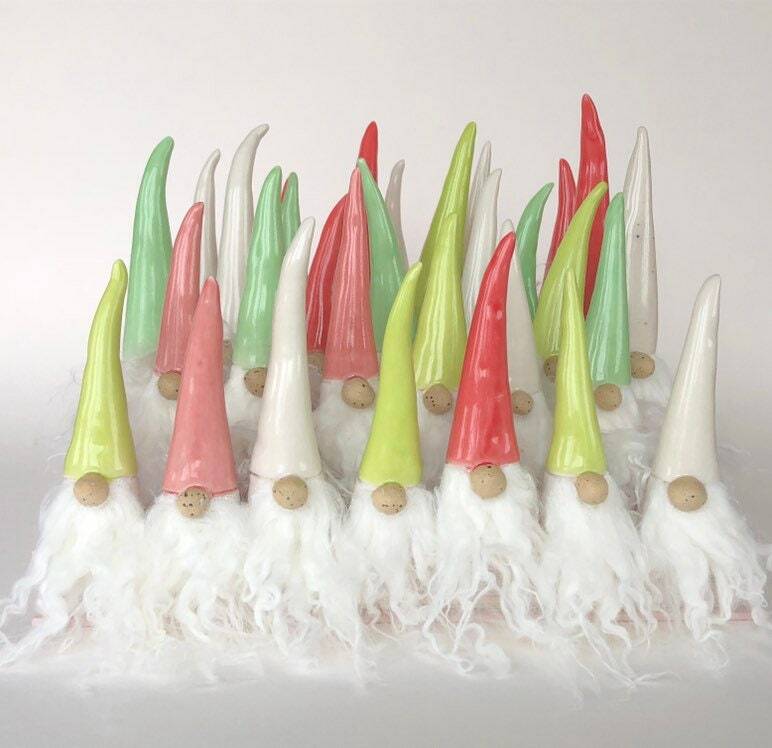 Centuries ago (pre-Christmas) Scandinavian people believed house gnomes guarded their homes against evil. If you were good the gnomes were good to you but if you were bad they would play tricks on you like sitting on your head while you sleep to give you nightmares. 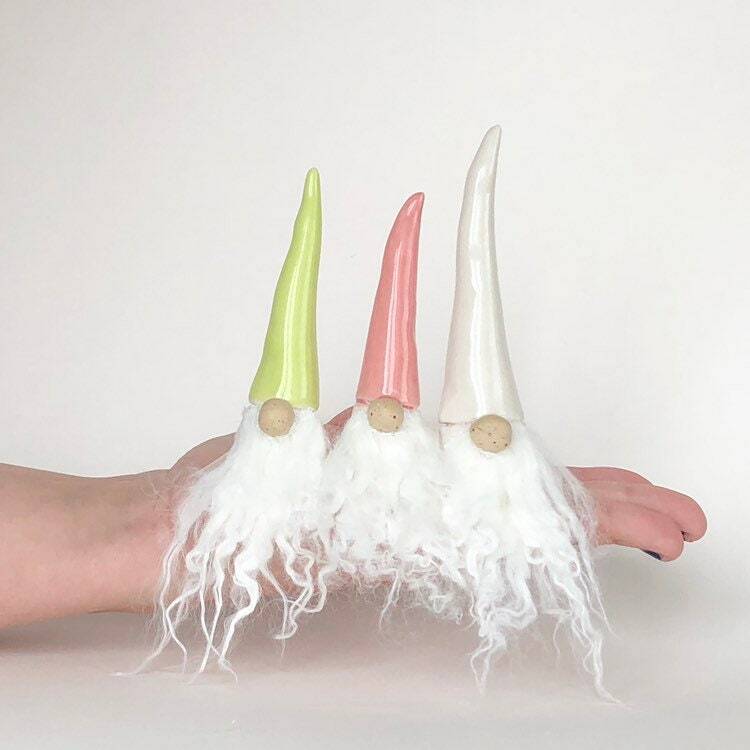 My gnomes are hand formed out of porcelain clay and their hats are finished with Glossy glazes I made and their big noses and bodies are left unglazed in the natural colour of the clay.